Author: Friederike Rausch-Berhie. Series edited by: Rainer Voigt, Hatem Elliesie. 22 pp. Roman, 342 pp. Sub-Saharan Africa runs far behind other regions of the world, regarding the realization of Education for All and the education-related Millennium Development Goals. Non-formal adult education is a good opportunity, especially for poor and disadvantaged target groups, to achieve these aims. 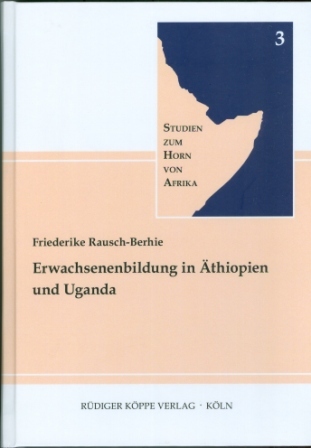 The study examines non-formal adult education in Ethiopia and Uganda. The objective of the work is to figure out how adult education should be advanced structurally and conceptually and extended across the countries, in order to improve the education of the participants and their living conditions. Qualitative and quantitative empirical research methods were used for the data collection. Explorative expert interviews were conducted with employees of ministries, organisations of the development cooperation and universities etc. in order to be able to understand and represent the political framework conditions. Moreover, implementation institutions of training courses and education programmes of non-formal adult education were visited in both countries. Political framework conditions and the status of non-formal adult education are analysed on the basis of relevant political documents such as national development plans, programmes for the education sector and strategy papers regarding the non-formal adult education. The involved state institutions and their responsibilities with regard to non-formal adult education are presented. Furthermore, the author deals with difficulties and challenges concerning the formation and implementation of non-formal adult education. In addition, several educational concepts and approaches are analysed and a structure of educational opportunities is made. Finally, good ideas, approaches and concepts that can contribute to a successful and efficient formation and implementation of the non-formal adult education are worked out. In the end, the author makes recommendations on the further development and the expansion of adult educational offers, on the further development of the education system, on the improvement of the political framework conditions and on the cooperative work of the involved actors.